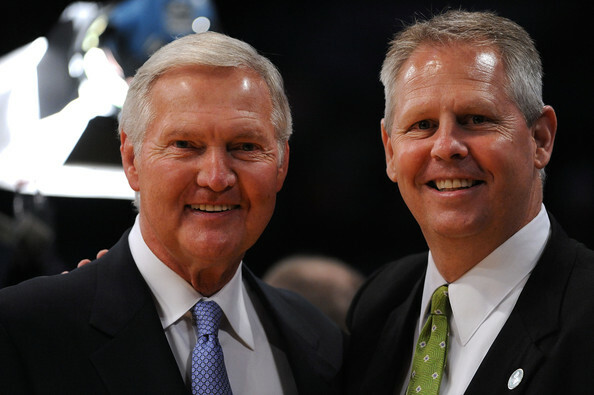 One of my early articles for CelticsLife concerned Jerry West's move from the Warriors to the Clippers. My argument was that West had great success with the Shaquille O'Neal/Kobe Bryant Lakers and then the Steph Curry/Kevin Durant Warriors - and that I expected more positive stuff from the logo in Clipper Town. Chris Paul, DeAndre Jordan and Blake Griffin are long gone, but the Clips are unexpectedly still locked into the playoffs in 8th place in the west. Jerry has never been an unabashed tanker. He rebuilds on the fly - he makes bold moves - and he is smart as Hell. Sounds a lot like our own Danny Ainge, doesn't it? 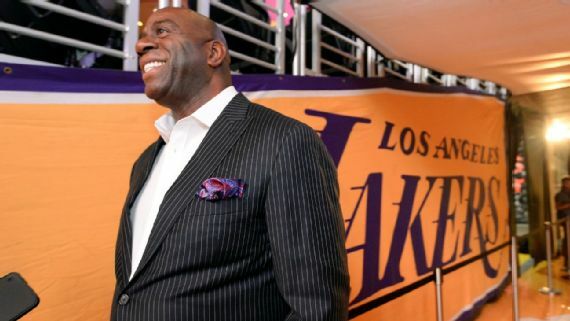 With Magic Johnson's sudden departure from the Lakers, it is apparent that his tenure there as President was a failure. He was able to land Lebron James, but little else has gone right - and some may say that even the acquisition of The King was a blunder. The Lakers signed Lebron at the age of 33, long past what is considered prime years for an NBA player. Kobe was traded for by the Lakers at 17, and Shaq went to them at age 24. James is now 34-years-old and not getting any younger. Last season for the Lakers seems like a lost one. It is obvious that the Lakers needed Jerry West back, not Magic - though I doubt West would have considered going back to the Lakers. There is obvious dysfunction there that may not be surmountable. Here is SI's Andrew Sharp on the West/Magic/Ainge comparison. Magic's job in that draft was to look past the Lonzo (Ball) hype and draft a player who could be a star. It wasn't an easy decision, and passing on Ball wouldn't have been popular. But ultimately, it was exactly the sort of cold and calculating decision that Jerry West would have made. Or, if you prefer, it's almost exactly the decision Danny Ainge did make when he passed on Markelle Fultz and traded for (Jayson) Tatum—something Ainge could only do because the Lakers had already telegraphed the Lonzo pick. I believe the damage has been done. Los Angeles, with its warmth, sunshine and bright lights has always been a popular destination for NBA free agents. Los Angeles hasn't lost any of its appeal, but free agents may look for the other team operating out there - the Clippers. Owner Steve Balmer, Coach Doc Rivers and West have done all the right things for the Clippers. The Warriors won't self-destruct because Jerry left them. He helped build a powerful team that should continue to compete at a very high level. In the near future, though, the Boston vs. LA finals may return. But this time it may be the Boston Celtics vs. the LA Clippers. Think of it. Brad vs. Doc and Danny vs. The Logo. West and Ainge may both be "cold and calculating", as written by SI's Sharp, but they generally make good decisions for their teams. The Lakers have been one of the premier organizations in the NBA, but they have taken a real hit. Time for them to bring someone on board who will revitalize a team that the League views as vital to its success. Any guesses from our readers?